This study aimed to evaluate the correlation between symptoms and endoscopic findings in reflux esophagitis. 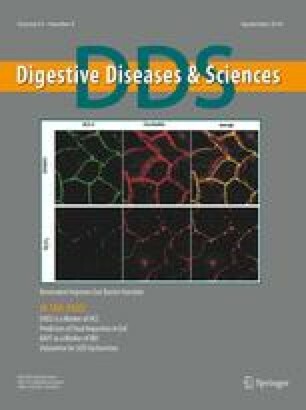 Subjects, 8031 persons without medication for gastrointestinal disease, were briefly asked about the presence of heartburn, dysphagia, odynophagia, and acid regurgitation by associated medical staff before endoscopy for assessment of esophagitis utilizing the Los Angeles Classification. Endoscopically, 1199 (14.9%) were classified as positive reflux esophagitis, and 2223 (27.7%) had heartburn, 1522 (19.0%) had dysphagia, 493 (6.1%) had odynophagia, and 1466 (18.3%) had acid regurgitation. Multivariate analysis indicated that the symptom most related to esophagitis was heartburn (odds ratio: 2.46), although ∼40% of subjects with grade C or D did not complain of heartburn. Regarding the other symptoms, less than 30% subjects with severe esophagitis complained of the symptoms and the odds ratio was ∼1. These results indicate that endoscopic esophagitis was not equivalent to any reflux symptoms from which subjects suffered in their daily lives.